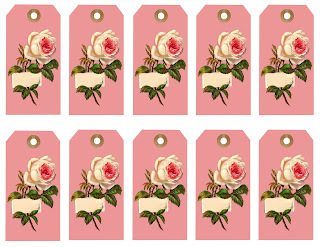 This is a pretty, printable collage sheet of gift tags I created from this lovely white rose image I posted here. I've also given you the digital image of the blank gift tag design so you can create any size gift tag you desire. 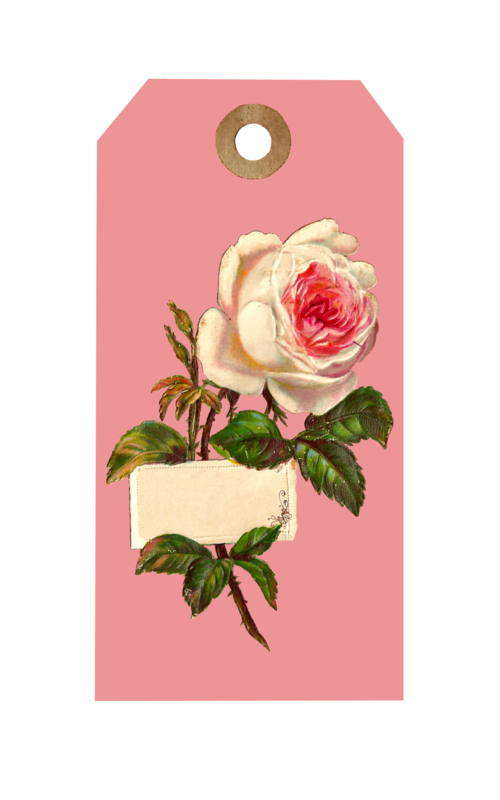 The digital rose label is gorgeous on its own, but I just had to create a project with all the inspiration it's given me. These 10, blank printable gift tags measure approximately 2.5" x 4", so they're a perfect size for gift tags, hang tags, or any kind of tags you have in mind. 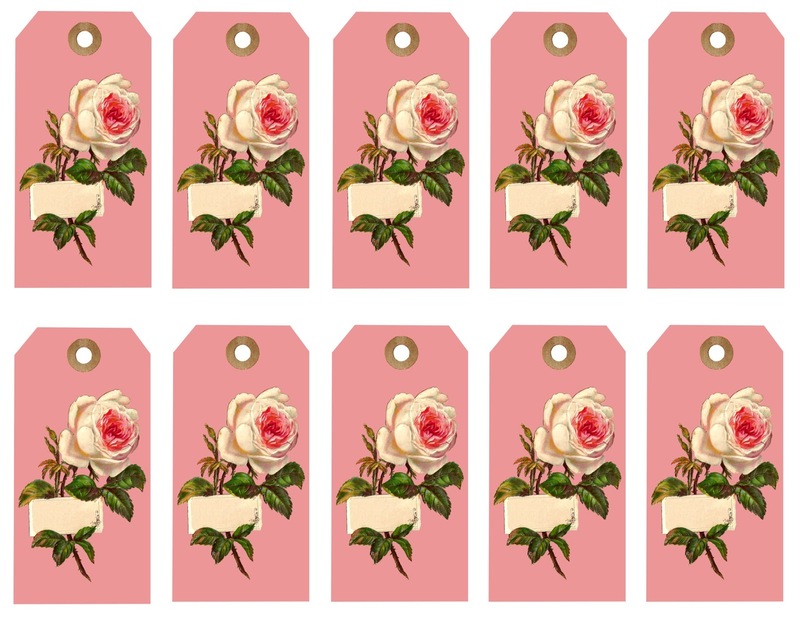 I hope you enjoy this beautiful printable gift tag collage sheet for all your gifts! You're welcome, Jenny! I hope you enjoy them. That rose is so delicious I just had to do something with it! Your so sweet these are beautiful! Would be great to use as labels for craft bins, boxes etc too. Endless ways. Thank-you!! Thank you, Linda, for your kind comment. And, thank you for your wonderful ideas. Such great inspiration!